Android Reborn – The mic on an Android phone can stop working for one reason or another. If you own a Vivo Smartphone, there are some tips on how to fix Vivo microphone problems. One of the most common problems is we can hear people talking from other side, but they can’t hear our voice. So, what’s the solution? This is the first step you have to take. Before you go, detach any connected device, such as wireless headphones because they can interfere with the troubleshooting process. Wireless devices are probably the reason behind the problems with the microphone. Try to test the mic once the phone is no longer synched to any device. It is to find out whether the problem lies in those pairings or not. Many Android problems can be resolved simply by rebooting the device. Try this before you opt for a more complicated method. If the battery is removable, please pull it out. There is a general consensus that removing the battery can return the state of the phone and solve the existing problems. Unfortunately, not all phones come with removable back covers. Some adopt unibody designs, so the battery couldn’t be removed. After the removal, wait for like 30 seconds before you put it back in. Proceed to turn the phone on and see if it works. 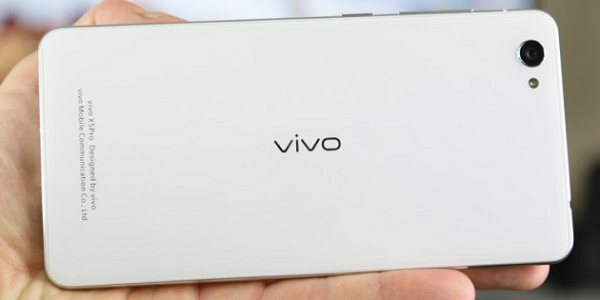 How long have you owned the Vivo phone? If it’s been a long time since you purchased the handset, chances are the inside has become dusty. It is not impossible that the dust blocks the microphone. Even if it has nothing to do with it, dust buildup can directly reduce the audio quality. Find instructions to access the mic from the inside of the phone. While cleaning can be done without removing the back cover, it should be more effective this way. Work in a bright room or use a flashlight just in case you need an extra source of light. Simple stuff like a toothpick can get the job done. You can also use a brush with soft bristles to pick up the dust. That’s how to fix Vivo microphone problems.